Ranging across two centuries, and from the western Himalayas to an Adirondack village, Servants of the Map travels the territories of yearning and awakening, of loss and unexpected discovery. A mapper of the highest mountain peaks, engaged on the trigonometrical measurement of British India, realizes his true obsession while in deflationary correspondence with his far-off wife. A young woman afire with scientific curiosity must come to terms with a romantic fantasy. Brothers and sisters, torn apart at an early age, are beset by dreams of reunion. 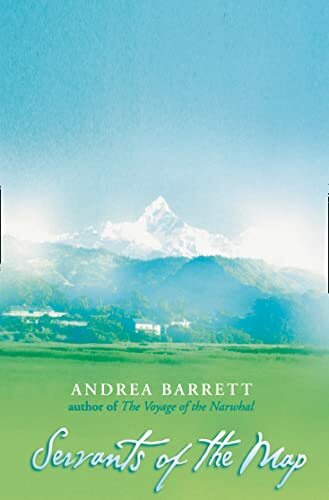 Throughout, Barrett’s most characteristic theme – the happenings in that borderland between science and desire – unfolds in the diverse lives of unforgettable human beings.